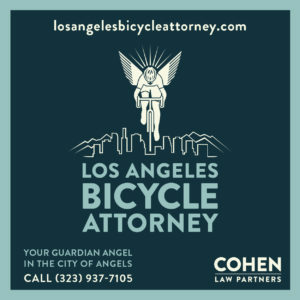 Last month a cyclist was killed in Los Angeles when a hit-and-run driver plowed into a group of cyclists, leaving her victims lying in the street, where Andy Garcia died after being hit by another vehicle. Whether he would have survived if she’d stopped at the scene is anyone’s guess. Now something similar has happened in Orange County. 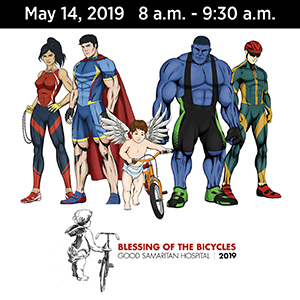 According to multiple reports, a bike rider was struck by a vehicle at or near the intersection of East Orangethorpe Ave and North Lemon Street in Anaheim around 5:40 am. However, details are still unfolding; the Orange County Register places the time of the collision as 5:55 am, while Google Maps places the intersection in Fullerton, rather than Anaheim. 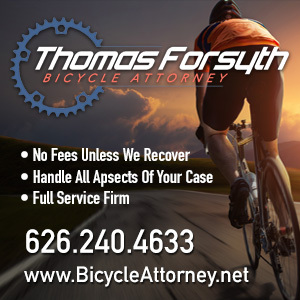 The reports indicate a driver in an unidentified vehicle reportedly hit the cyclist, who has not been publicly identified, dragging the victim several feet on Orangethorpe before fleeing the scene. The victim was then struck by another vehicle; he or she was pronounced dead at the scene, still trapped under the second car. No word on how the collision occurred, or what street the victim was riding on. And once again, whether the victim could have survived the initial collision if the driver had stopped, as required by law and basic human decency, is anyone’s guess. KCBS-2 reports the victim was dragged roughly 20 feet under the first car, while KNBC-4 describes it simply as several feet. However, before their paywall cuts the story off, the Register writes that the bike was found lying in the street about 150 feet behind where the victim’s body was found, suggesting it may have been dragged a considerable distance. That would be consistent with the description of where the rider was hit by the second car. Reports indicate he ended up in front of a church; Google’s satellite view shows The Rock some distance east of Lemon Street. KNBC-4 also indicates the first driver hit another car as the driver fled the scene after hitting the cyclist. Who was at fault for the initial collision is still to be determined. However, if there is any justice in this case, the first driver should face a homicide charge on the assumption that the victim might have survived if the heartless coward behind the wheel hadn’t dragged him or her beneath the car, then left the victim lying in the street to be hit by someone else. 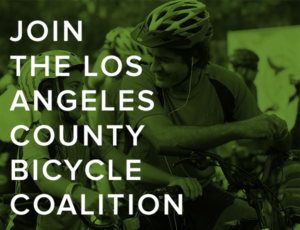 This is the 74th bicycling fatality in Southern California this year, and the ninth in Orange County this year; it’s also the second in Anaheim since the first of the year. This is also the 16th fatal hit-and-run involving a bike rider this year. My deepest sympathy and prayers for the victim and his or her family. Thanks to Alan Thompson for the heads-up. Update: An email from John reports passing the scene this morning, and witnessing police activity on Orangethorpe east of Lemon, as well as several hundred feet north of Orangethorpe on Lemon, where he saw several pieces of blood-soaked clothing. While he can’t say that the two sites are definitely connected, it suggests that the collision may have occurred on Lemon, ending on Orangethorpe. Meanwhile, KABC-7 reports that one driver managed to swerve around the victim before he was hit was hit by the second car. Anyone with information is urged to contact OC Crime Stoppers at (855) TIP-OCCS. Update 2: The victim has been identified as 19-year old Fullerton resident Manuel Morales Rodriguez. According to the LA Times, a suspect has been identified, but has not been arrested or charged. I often ride in the early AM to reduce the risk of getting hit; this unfortunate collision is proof that we’re never safe so long as we’re sharing the road with cars. I think I’m going to add trails or residential streets to my early morning rides from now on.